I’ve broken this post down into a few sections that I think are most important! 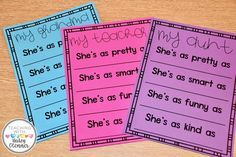 🙂 Of course there are lots of other things that are important but I feel like when we have these down, the rest kind of falls into place! 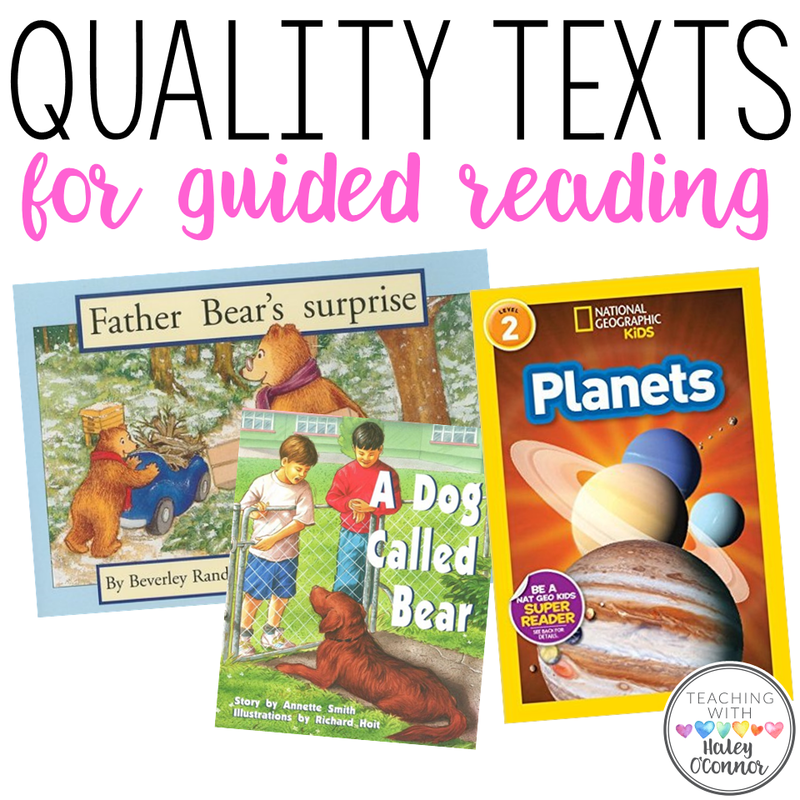 The first thing that we need for guided reading is quality texts! Our kiddos are better readers and more willing to take risks when they are engaged with the text! I think this one is the hardest because it’s the most expensive! I am so lucky in that I’ve been at schools with fabulous guided reading libraries! BUT…there are lots of ways to build your library and even some great online resources! My absolute FAVORITE series for guided reading is Rigby PM Readers. 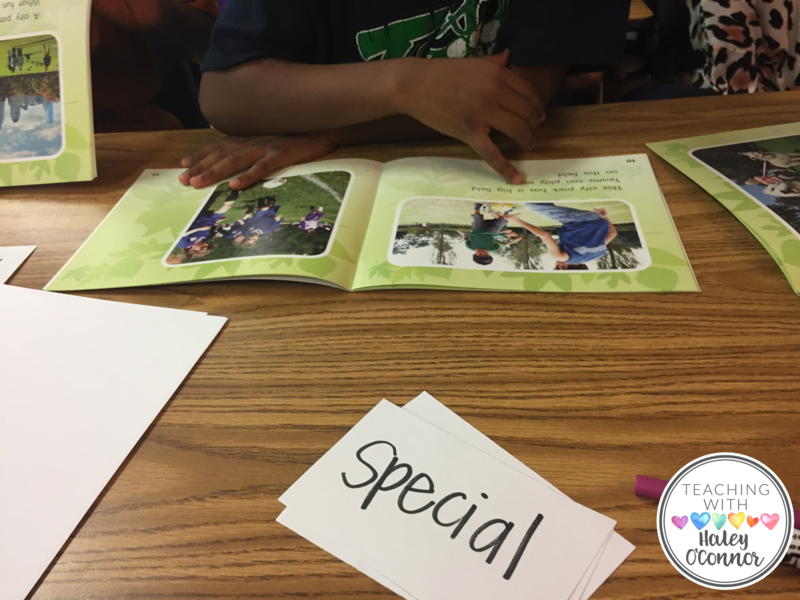 Even with emergent readers, the books have strong story lines that are great for comprehension! They also include dialogue super early and require readers to infer and make meaning while they read! They are pricey, but SO worth it! Scholastic has some great options as well! I think you have to buy them in bulk (for the most part) but you could also use their leveling guide to purchase individual titles! Those are just 2 options but there are SO many wonderful series and titles! 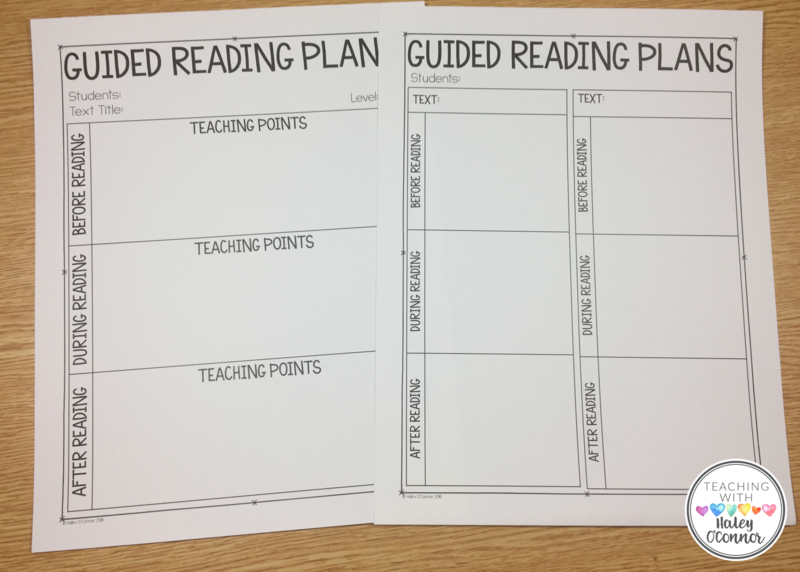 The only thing that makes a book a “guided reading” book is having multiple copies and knowing the level! 🙂 I’ve found it’s harder for find texts at levels A-E and much easier once you get to level F! You can even find some great deals on Amazon…especially if you’re just getting started! 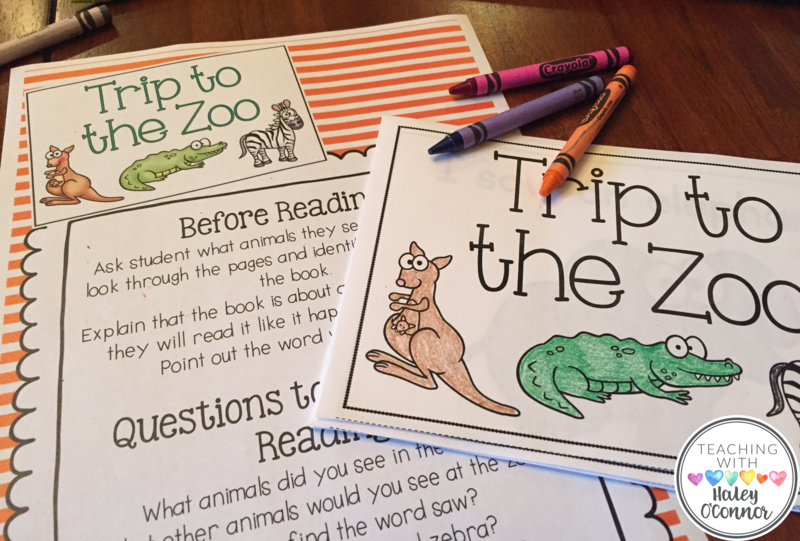 Reading A-Z, Scholastic and Raz-Kids have printable readers too! I’ve found that my kiddos prefer a real book (with color) but it’s a great solution if those aren’t available!! 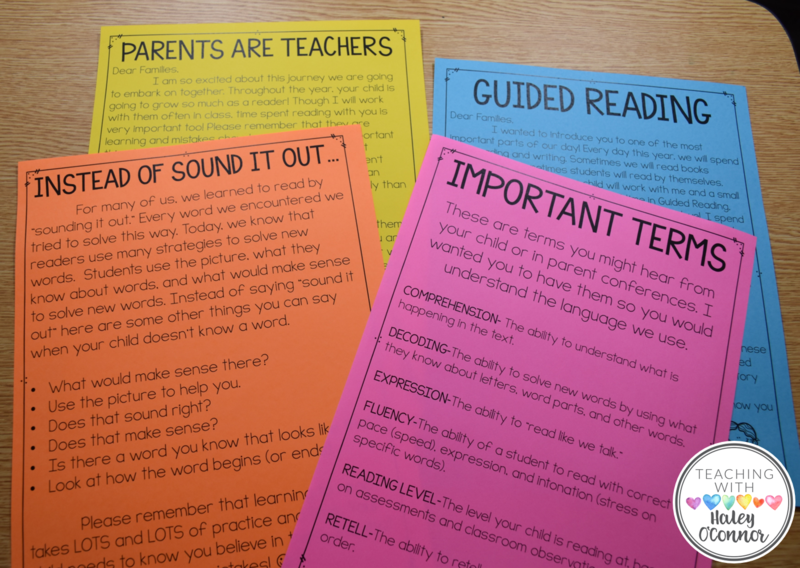 The second thing we need for quality guided reading lessons is solid teacher support, resources, etc! Guided reading is HARD and there’s no way every teacher can know everything about every level and every reader! 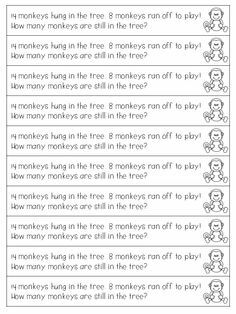 Having ready made resources at your fingertips makes it a LOT easier to provide the best instruction to our students! I’ve shared these before, but I just truly believe in them! 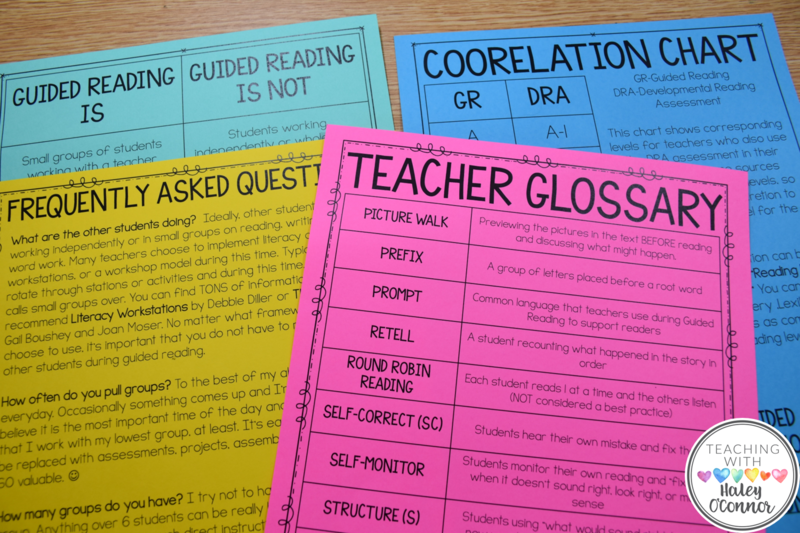 My absolute favorite resources are The Next Step in Guided Reading, Prompting Guide, and Continuum of Literacy Learning. I am truly a better teacher because of these books!! 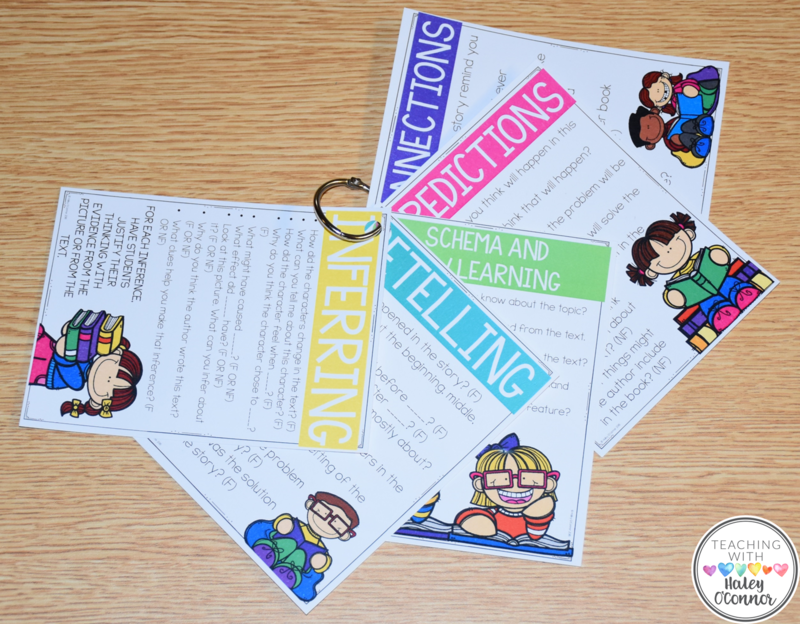 I just finished my Guided Reading Survival Kit which is FULL of teacher resources! 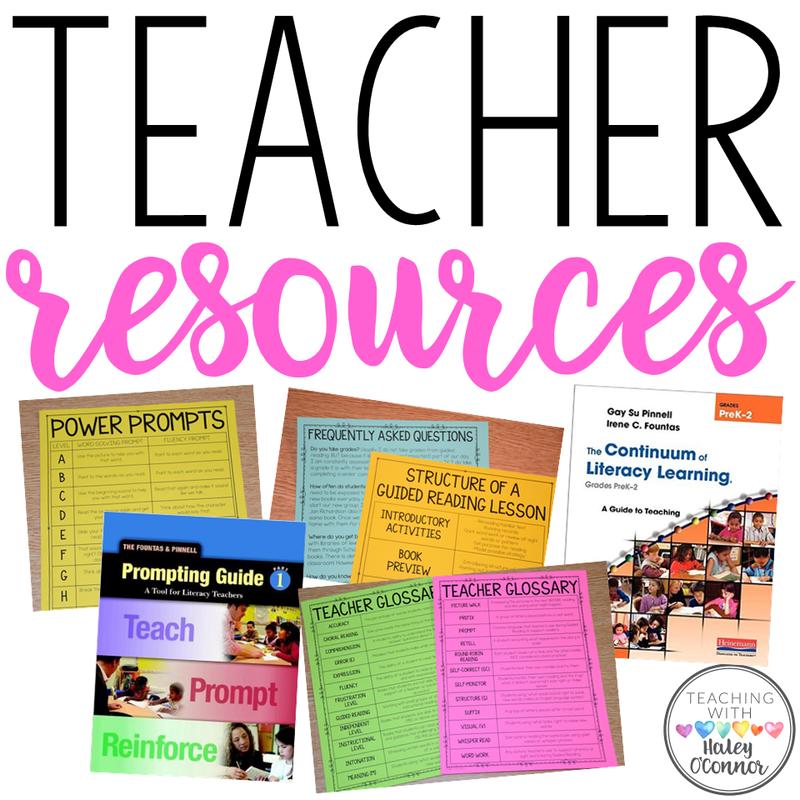 Here are some things you could keep at your teacher table or in a binder for quick access! 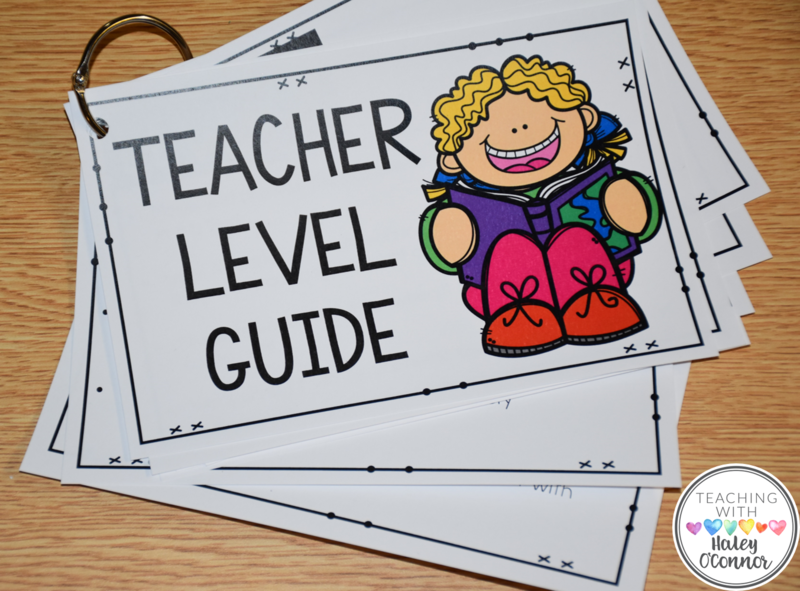 For levels A-K, I made a level guide with quick tips for teachers about readers at each level and how to support them! 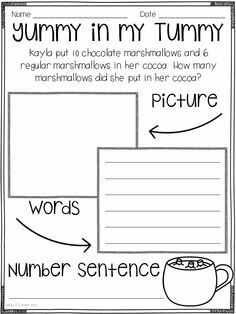 You’ll also find comprehension questions and stems to use after fiction AND nonfiction books! Word Work is such an important part of guided reading! It can happen before or after, or BOTH! But it absolutely HAS to happen…especially with new readers! 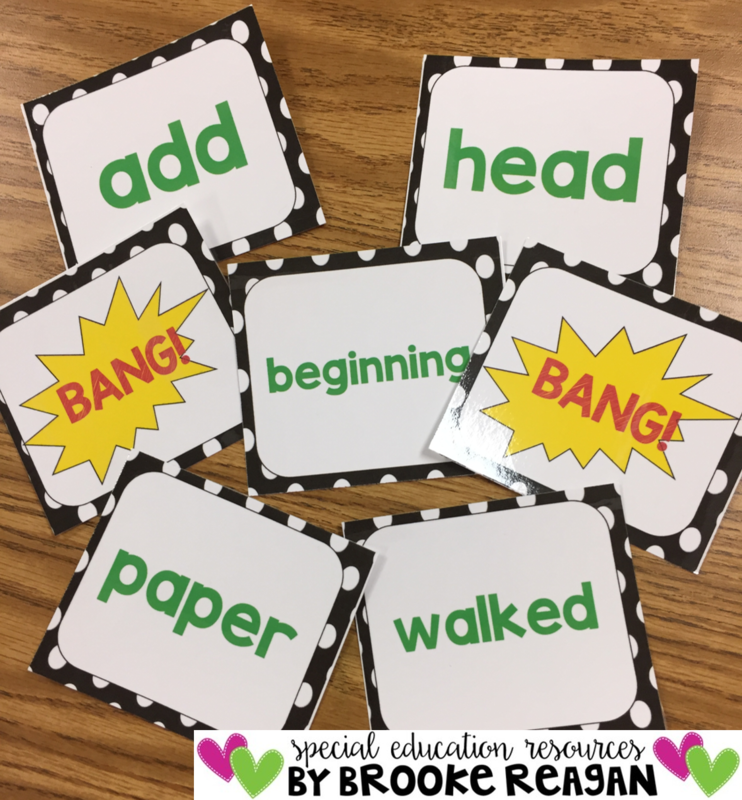 Word work is how we teach sight words, phonics patterns, decoding, and so much more! 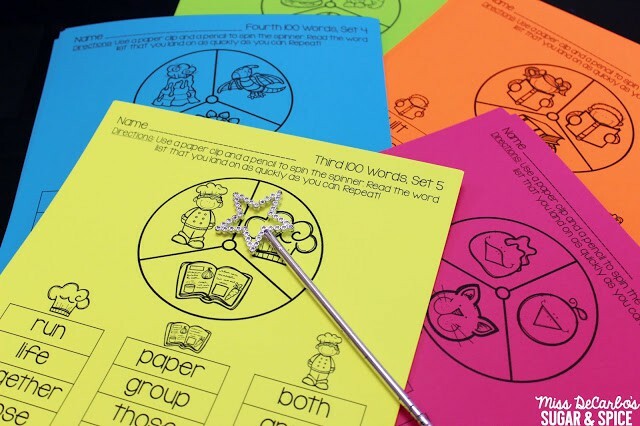 I use highlighting tape to identify one or two tricky words in the text. During the preview, I point the words out and they use the tape to cover the word! 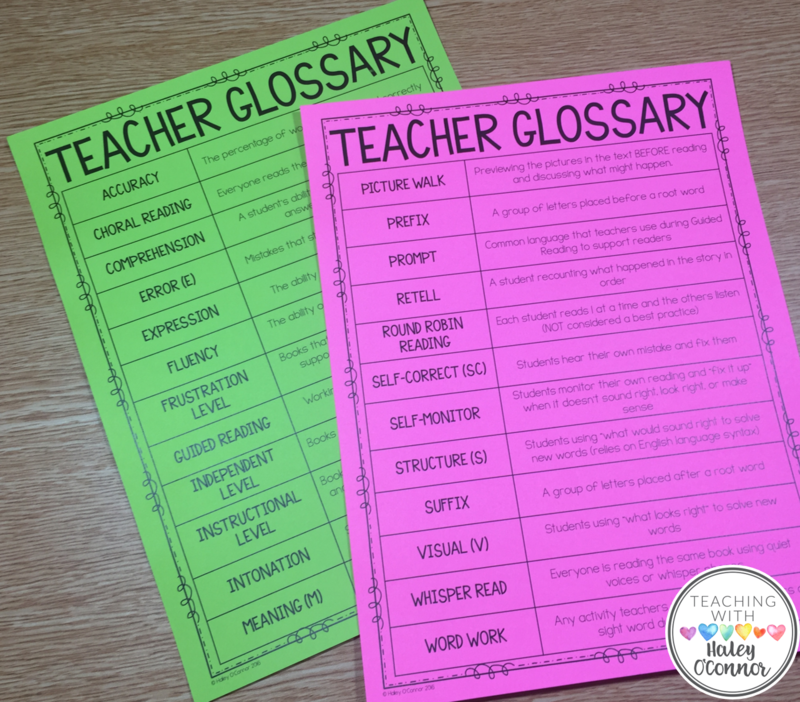 It also works great for ELLs with important or new vocabulary! 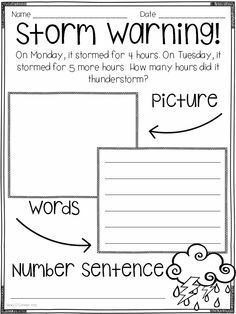 I write words that my kiddos struggled with in the book on note cards and have them add them to their book baggies or book boxes! They’re also great for flash cards! Finally, we are constantly cutting apart sentences (especially with levels A-B) to practice the pattern of the text! 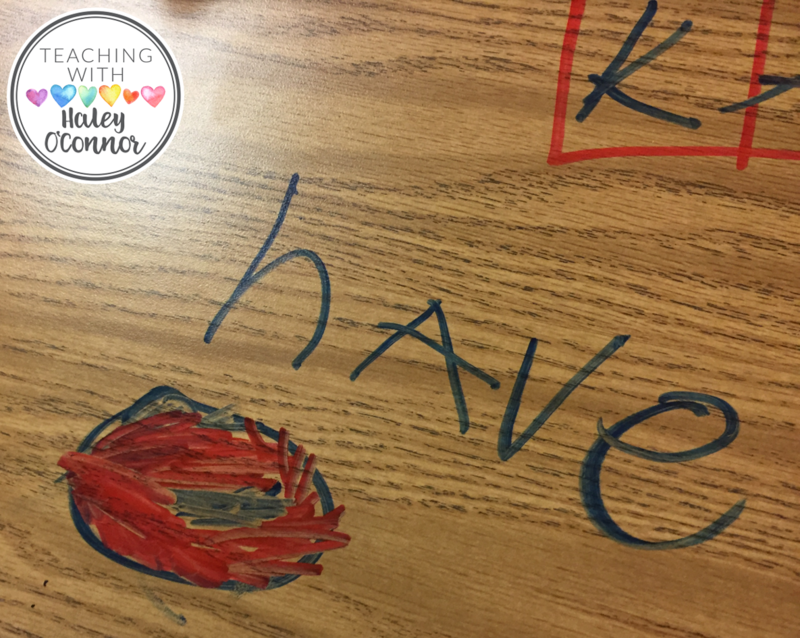 For higher readers, you can cut words into syllables, have them change the vowel sound, and so much more! 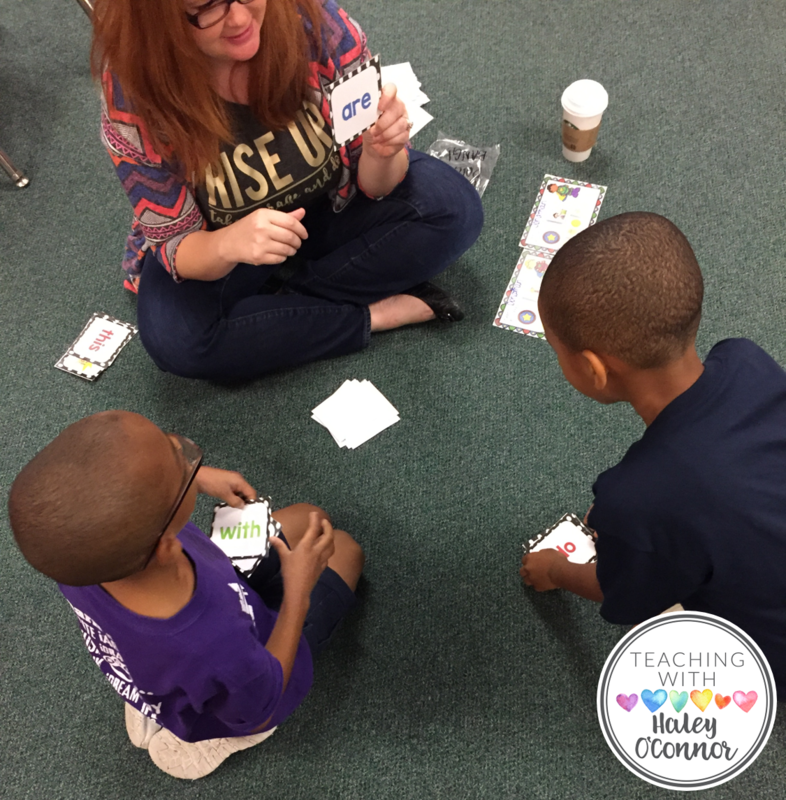 I also like to keep my kiddos engaged with sight words at the back table with games! These are some games from some of my teacher BFFs! 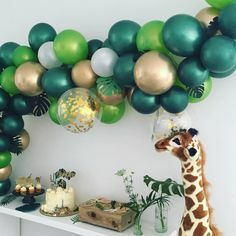 You can click either picture to head over to the resource! This super fun game is called BANG! They read the word cards and when someone gets a BANG card they put them back! 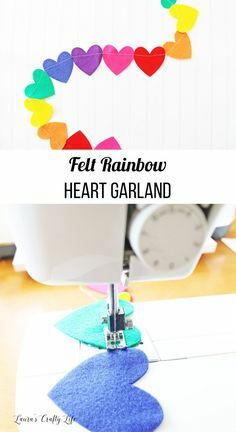 It’s super fun, quick, and also teaches our kiddos how to lose appropriately! 🙂 It’s from my sweet, amazing, brilliant friend Brooke Reagan! I’m also completely and totally in love with these sight word spinners from Miss Decarbo. 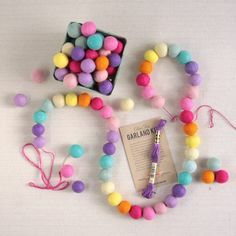 And how stinking fun is that wand?! 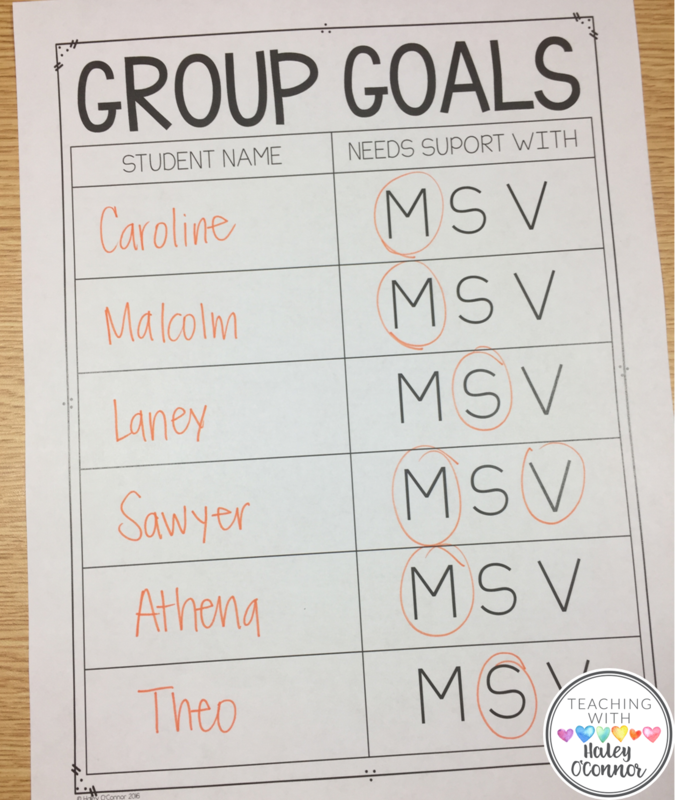 She has an amazing blog-post about making the most of your small group time! We also need a good system for sending books home! Ideally, our kiddos are taking their guided reading books home everyday. Research tells us that they need repeated readings to build fluency and comprehension. BUT research also tells us that they need to be exposed to a LOT of texts, especially as they are growing as readers. I try to give my groups a new book each day OR stretch it over two days. But never more than that (unless it’s a chapter book with my higher readers). 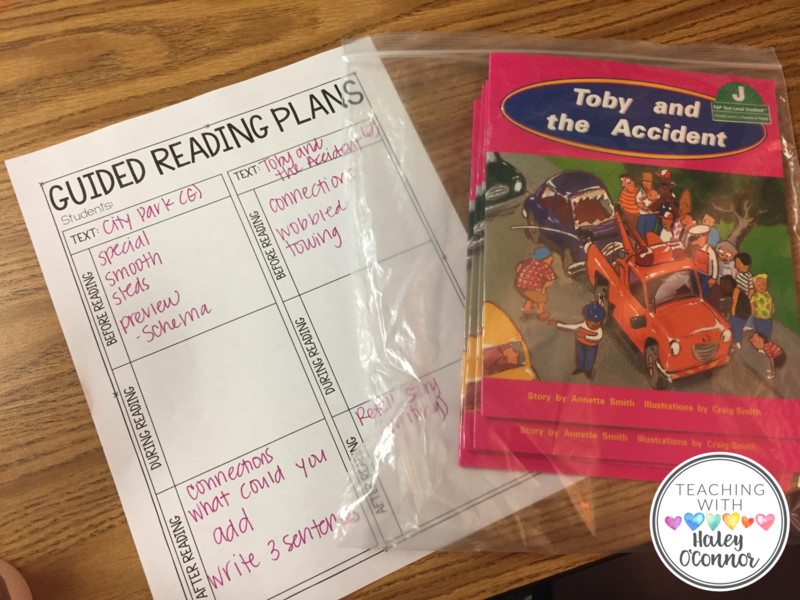 Sending books home, or keeping them in class book boxes, ensures that they have the opportunity to re-read without spending precious guided reading time on the same book for days and days! In my classroom, I just send books home in a gallon size ziploc baggie. Typically, I only have to replace them once throughout the year! 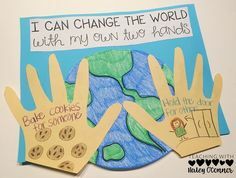 I also have seen lots of teachers use manila envelopes! 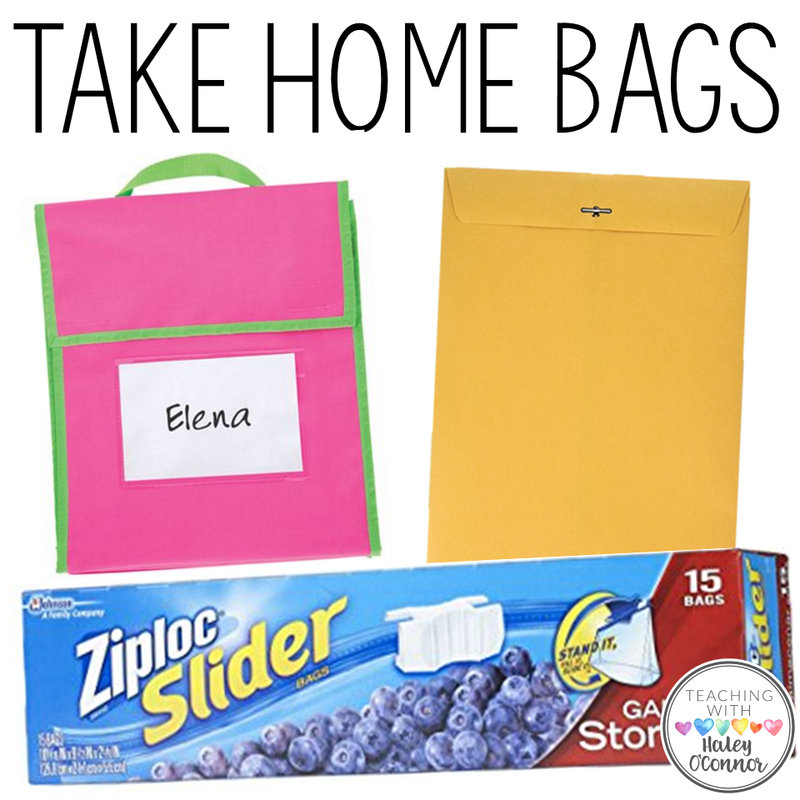 I absolutely adore these baggies from Really Good Stuff, but they are pricey so a lot of teachers opt for disposable baggies. 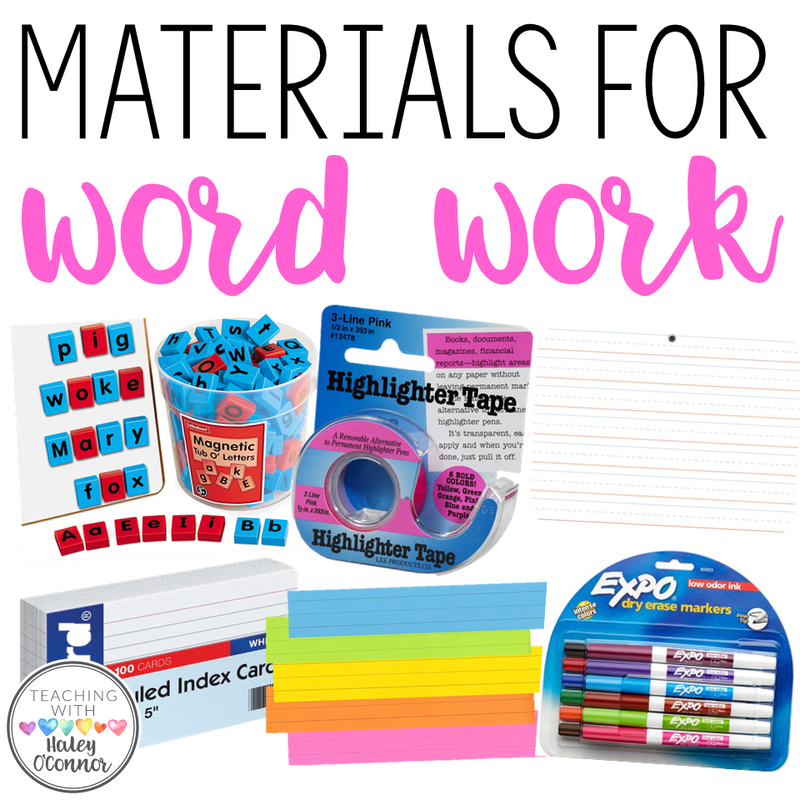 🙂 Inside the bag, students should take home their books and any word work materials that they can practice with at home (sight words from the day, magnetic letters from the day, sentence strips to put together). I also have forms to send home when a kiddo reaches a new reading level! That way their parent knows they’ve moved up and how to support them at each level! 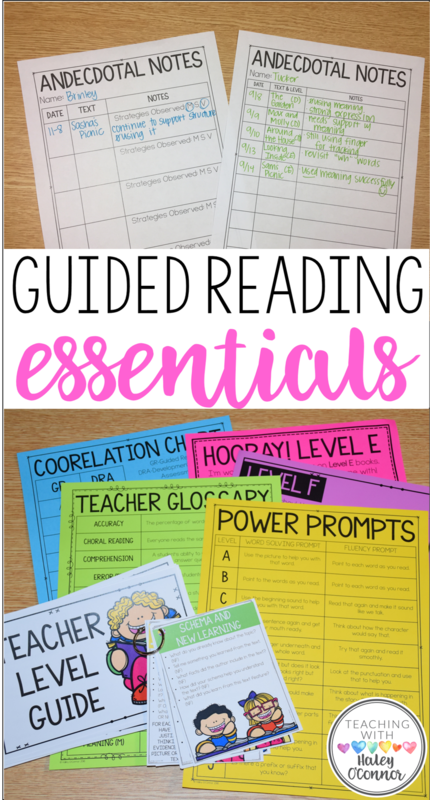 These resources are found in my Guided Reading Survival Kit and would also be perfect for volunteers that come in to work with small groups or para-professionals! 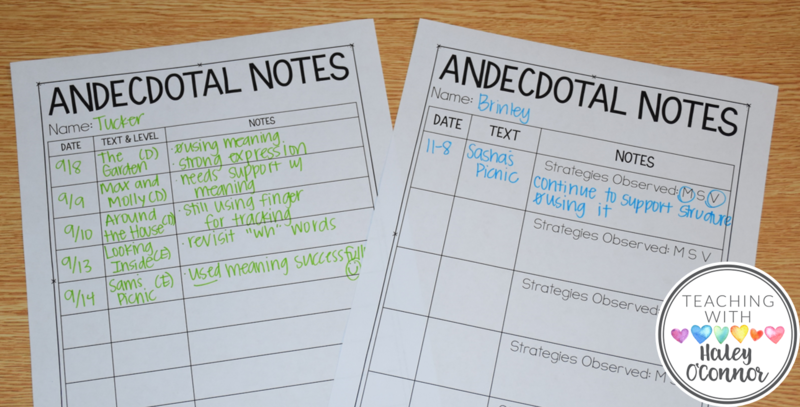 Finally, it’s super important that we have an organized way of planning guided reading, taking notes, and tracking our student progress. 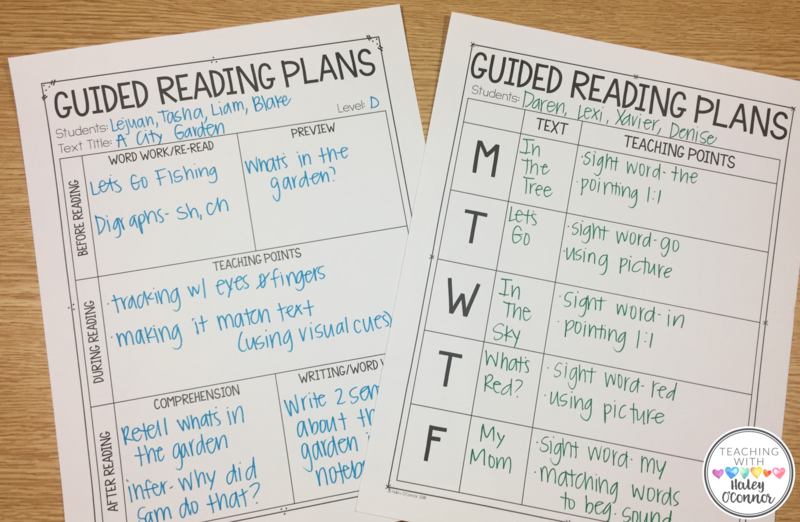 For me, planning guided reading takes a few minutes. I choose the best book for my group and scan over my notes from the last time we were together to refresh my brain on what each reader needs support with! 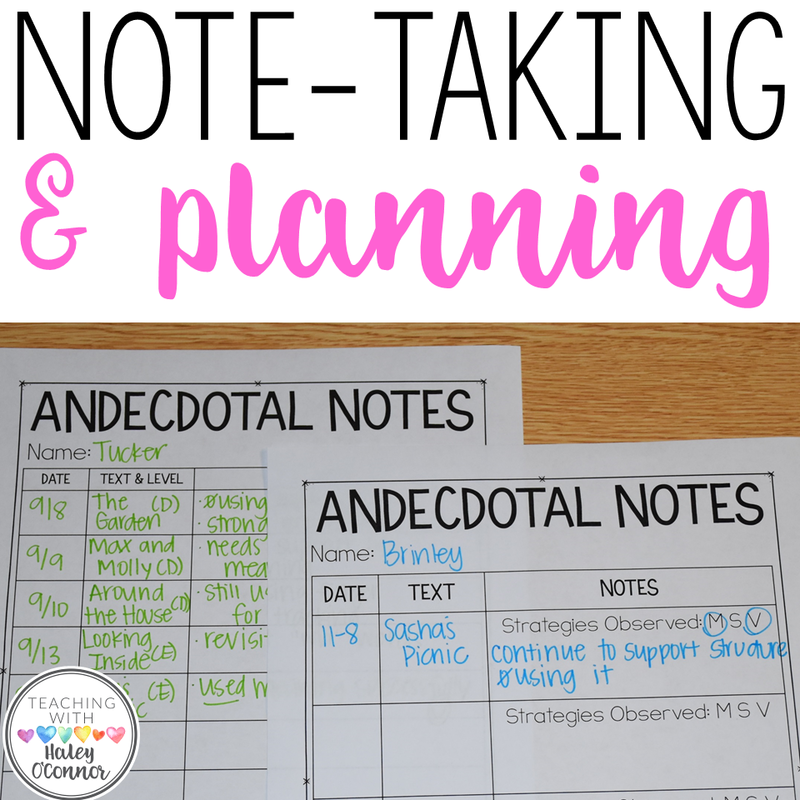 I also jot down important words, things to cover in the preview, and possible comprehension questions. 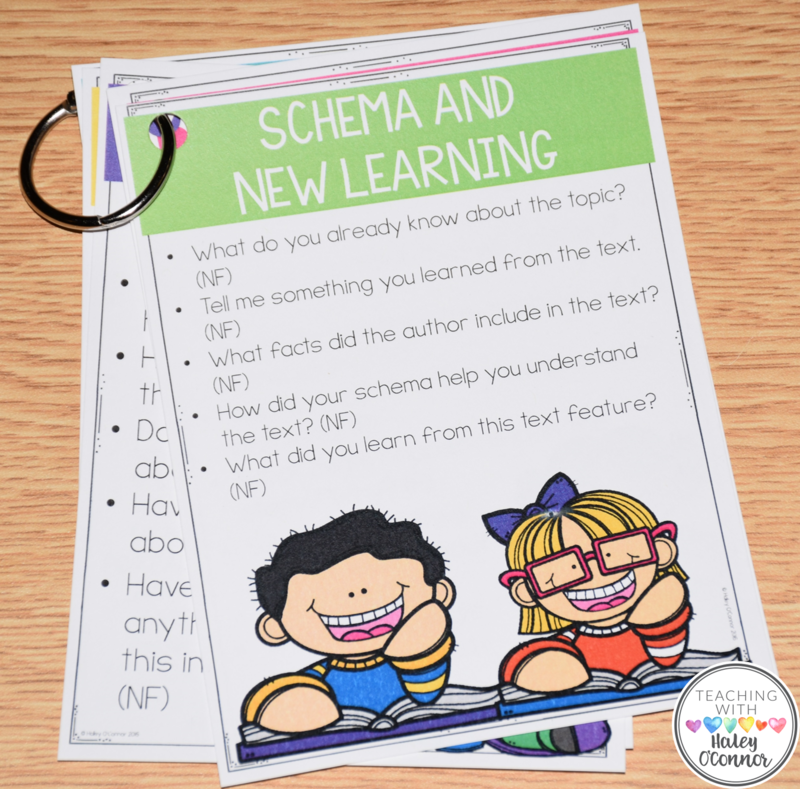 Every teacher plans differently, and it’s so important to find a system that works for you! Here are some various formats you could use! 🙂 Some are more detailed than others…depending on your preference! Above…I didn’t plan for “During Reading.” I didn’t know these readers, and didn’t know what they would need support with! 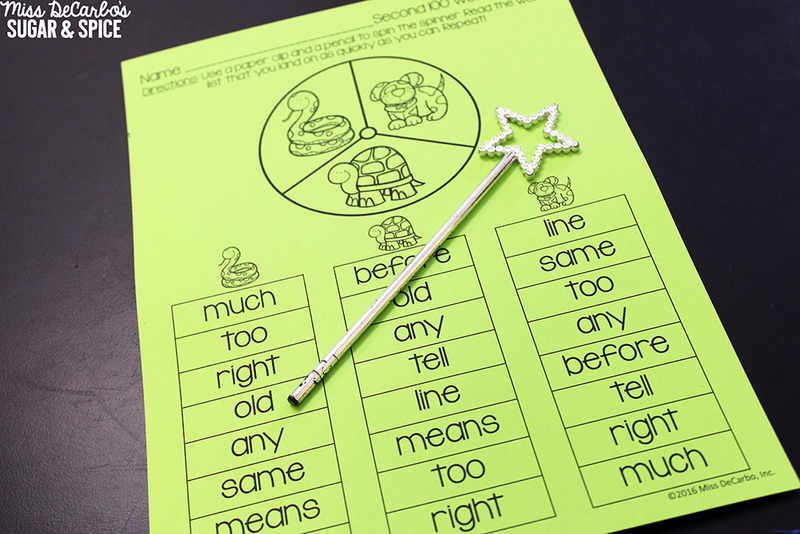 Teaching points are based on what readers struggle with, so you have to really know your reader! 🙂 I also frequently change my teaching point based on what they are struggling with that day! 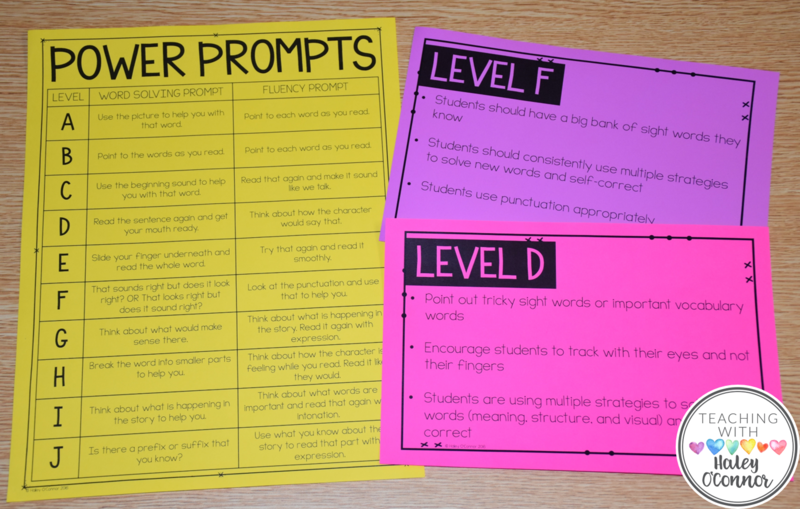 It’s important to know what strategies your readers are using and need support with! You can find this by analyzing running records. 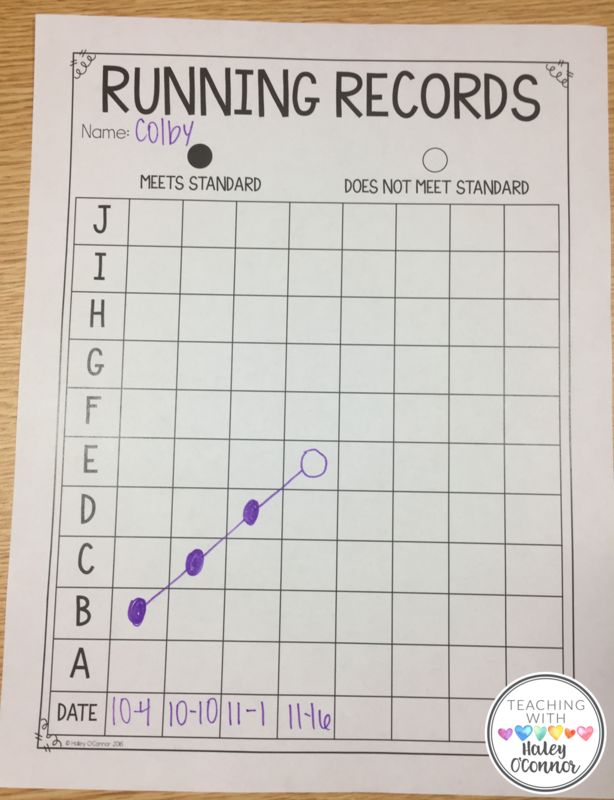 I like to keep a form at my fingertips so I have it easily available during teaching! 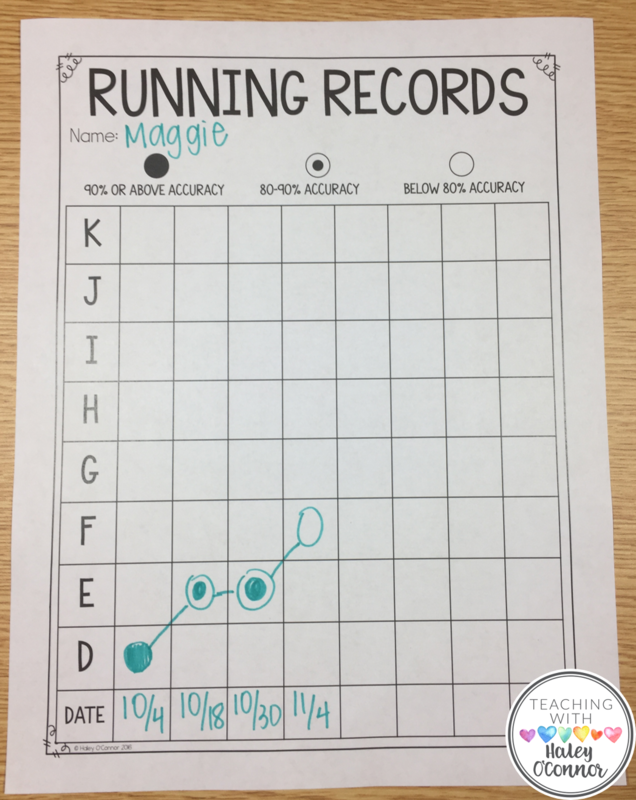 For struggling readers, I track their running records. It helps in RTI meetings to have this data and in parent conferences! 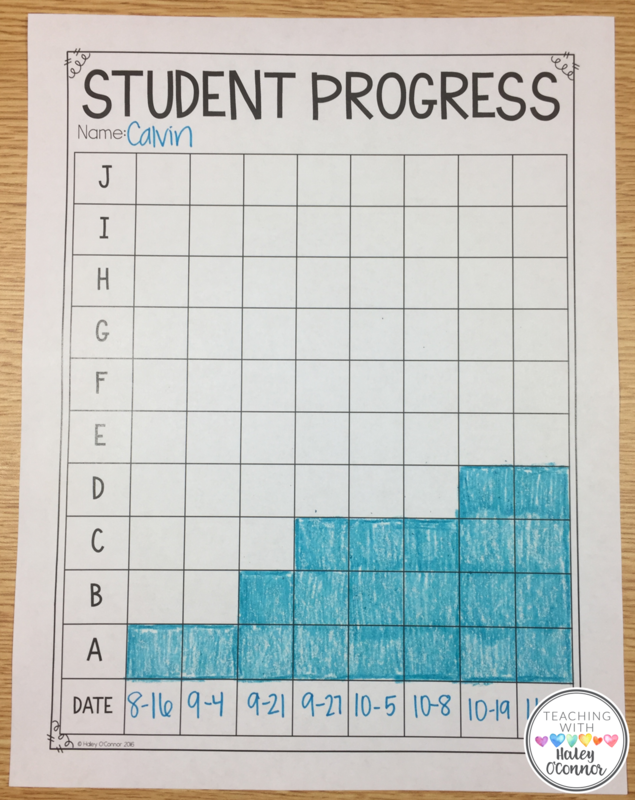 I also graph reading levels WITH them…it’s great for them to reflect on their learning, celebrate their successes, and share with their families! 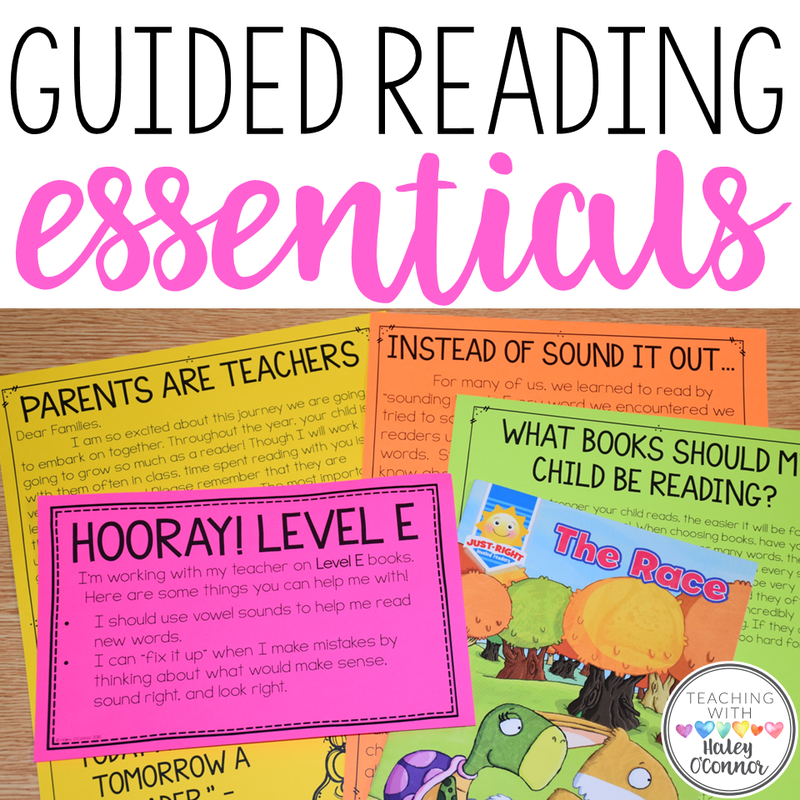 You can find all of these forms in my Guided Reading Survival Kit! 🙂 Happy Teaching! 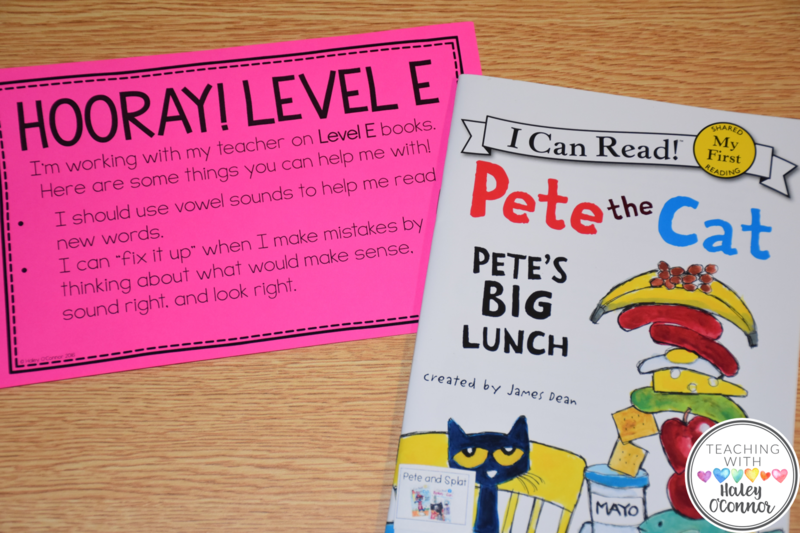 i teach second grade and have students that read above level K. Do you have any of the same types of materials for level L and above? 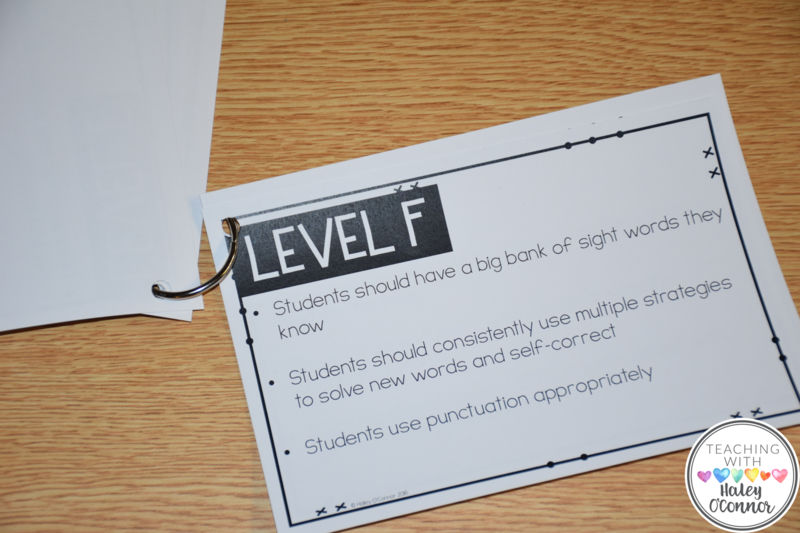 My students are more level J to level O. I love the ideas you have and feel that I need to be more intentional with what I am doing, but also want to challenge my higher readers. Hi Michelle! I’m so glad you love the ideas! Since I’ve never taught 2nd or 3rd grade, I didn’t feel comfortable making materials for it. 🙁 But I know there are a ton of great options on TPT! Have you read Jan Richardson’s updated book, The Next Step Forward in Guided Reading? I also loved the original but the new one is PHENOMENAL! 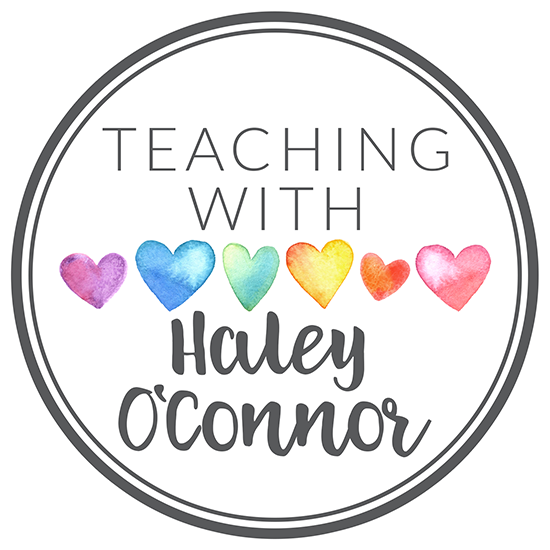 Updated resources and everything, plus there is a website supported by Scholastic to see all of her videos.